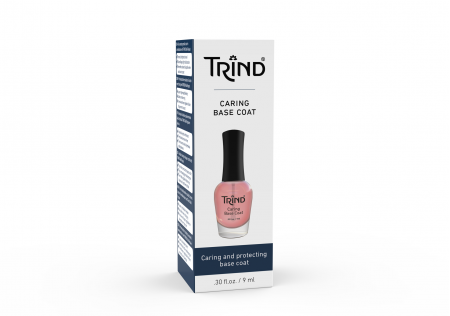 Contains active ingredients that keep nails in an optimal condition. Apply 1 coat to the nail to smooth nail surface. For ridged nails, first buff the nail plate using the TRIND Nail Magic Buffer. Make sure the base coat is completely dry before applying a colored polish or top coat. After use, clean the rim of the bottle.